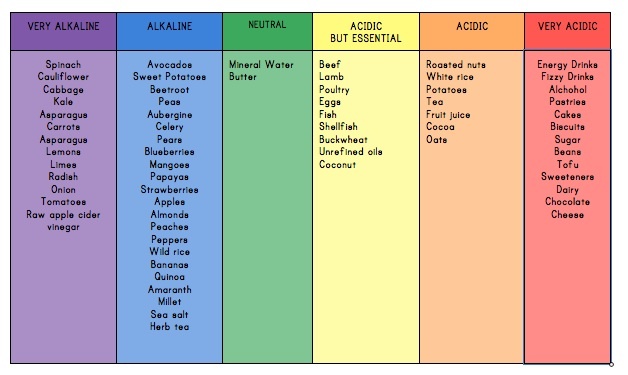 SO far my musings on alkaline forming foods have been, I hope, fairly straightforward to follow and action! Across the UK there has been much lemon squeezing, watercress blending and cauliflower roasting taking place. Well that was entry level. I’m about to take it up a notch. Especially for those of you who are really into trying new recipes, new foods and generally feeling better. And especially for those of you who are contemplating some kind of detox or kick start but are dilly dallying because you can’t find the right one or the right ingredients. The great thing about alkalising your diet is that you can make gradual changes. Find things that work for you on a daily basis. This isn’t all about getting skinny, this is about making changes to the way that you eat that will improve your skin, digestion, fitness levels, and longer term reduce your risk of disease. If you are carrying extra weight then of course, turning your body into a super efficient fat burning machine can’t hurt either. Here’s my Brit version of the acid/alkali table. Remember this is the effect of metabolising these foods on the body. Milk is an alkali but when metabolised creates acidity.